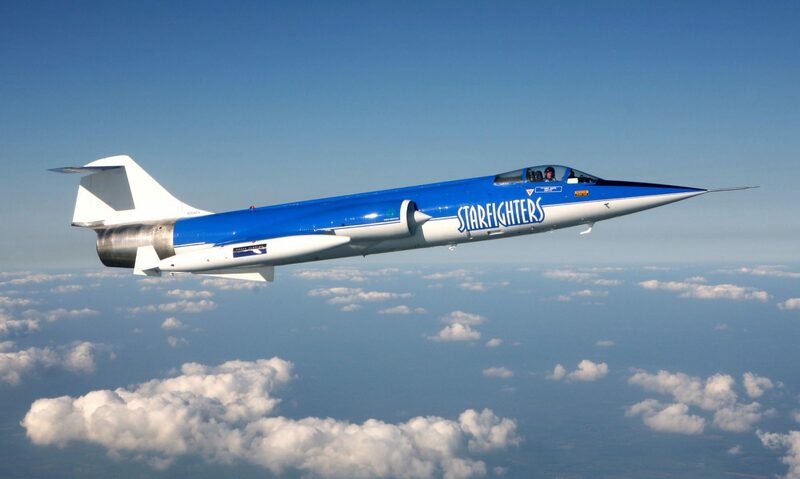 Starfighters Aerospace maintains a fleet of F-104 Starfighters at Kennedy Space Center’s Shuttle Landing Facility, operating under a Permanent Space Act Agreement. The multi-faceted company is active in a variety of air and space research and development projects as well as holding an FAA LODA to conduct flight training operations. This limited-access flight training is designed to enhance confidence and flight safety through comprehensive ground training sessions and back-seat flight operations. This course provides a one-on-one overview of the aircraft’s key systems, pre-flight, in-flight and post-flight procedures, safety protocols, physiological and human factors, and the fundamentals of piloting the legendary F-104. The time required to complete F-104 Flight Training varies, but in general, pilots should allow at least three days to complete the program. Equipment fitting and operation, egress and ejection seat training, life raft and survival training, ground school, cockpit familiarization and pre-flight and post-flight briefings.